We provide online Cognitive Behavioural Therapy (CBT) via SKYPE and WebEx. This allows fast and confidential access to our UK trained CBT experts at an affordable price. Online CBT has been proven to provide a highly effective solution for depression and a wide range of anxiety problems and the research evidence shows that it works. We can provide CBT in English and several other European languages. Our clients include individuals and businesses from a number of countries across the globe. 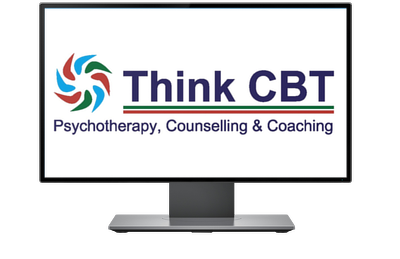 Call 01732 808 626 or email info@thinkcbt.com to find out more about online CBT appointments. We offer a number of flexible and responsive online CBT options in several languages across the world. 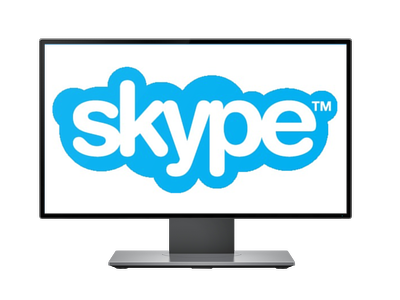 CBT sessions are delivered via secure internet video calls, using screen sharing an extensive range of CBT resources. This means that you can talk to your therapist whilst working with relevant CBT material on screen and in real time. All you need is an internet connection, a computer or electronic device. The research shows that online Cognitive Behavioural Therapy is just as effective as face to face CBT, with the added benefits of increased flexibility and reduced costs. This means that you can work with one of our UK qualified CBT specialists from the comfort of your own home or office and at a time to fit in with your other commitments. All you need is access to a computer and an Internet connection. On a practical level, you can work with an experienced Cognitive Behavioural Therapist, without having to travel to our consulting rooms or clinics. This can save time and money without any reduction in the quality of service. Making an appointment with one of our Cognitive Behavioural Therapy experts is fast and easy. Just complete the contact form on this page and we will get back to you within just two working hours to organise an initial consultation. You can also call +44 1732 808 626 or email appointments@thinkcbt.com to secure a consultation with a UK trained CBT expert. Organising online CBT is quick and easy. You can connect with your Cognitive Behavioural Psychotherapist via WebEx, SKYPE or VSee and we will help you to set this up before the therapy sessions start. Once the online CBT session is booked, you will receive an email with a secure link. All you have to do is click on the link to be taken to the secure video conference with your therapist. Online Cognitive Behavioural Therapy is discrete, private and convenient, with no waiting rooms, time consuming travel, childcare or time off work. Our Cognitive Behavioural Therapy experts are UK qualified and trained to the highest professional standards. Unlike other private CBT providers, our Therapists are professionally accredited by the British Association of Behavioural and Cognitive Psychotherapy (BABCP). BABCP accreditation sets the gold standard in the practice of Cognitive Behavioural Therapy. This means that you can trust that you are working with a proven CBT specialist. We have worked successfully with clients from a wide range of backgrounds including new mums, Doctors, police officers, nurses, emergency services crew, business people, students, scientists, landscape gardeners, vets, builders, lawyers, chefs and office workers. All of these people have experienced problems with anxiety or depression and they have benefited from CBT. We take client confidentiality and security very seriously. Our online CBT services are delivered over secure networks and our data is incripted to the highest industry standards. This means that you can complete your CBT appointment on a safe and secure basis. We will never share your information and we don’t work with third-party providers. We are professionally commited to preserve your anonymity as a client and ensure that confidentiality is respected throughout the therapy process. All of our Cognitive Behavioural Therapists hold professional indemnity cover and have completed a full DRB disclosure. 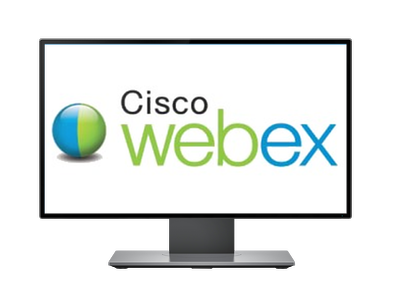 We provide video call options using WebEx, VSee and SKYPE platforms. All video calls and document sharing is completely free of charge to our clients and we will organise the relevant connection for you. You can also download your own video call App by clicking on the relevant image. 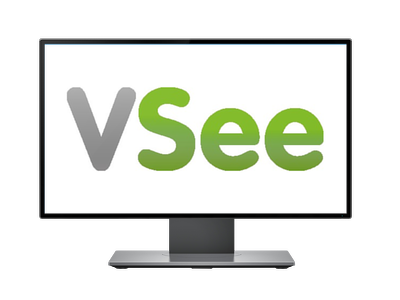 Video calls and document sharing can be done via desktop, laptop or any electronic device of your choice.